Ergonomics is more than a buzzword today - it is a movement. Nationally, our demographics confirm we are aging and in deteriorating physical shape. This impacts the workplace, and good employers must think of their businesses in terms of ergonomics. EASE is the group within MHI focused solely on making work easier for people by improving the work environment. 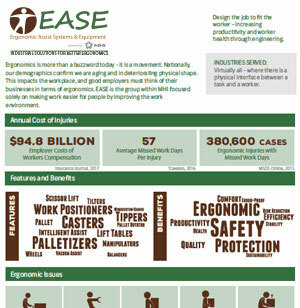 EASE members promote the practice of good ergonomics in the workplace by providing solutions across a broad spectrum of applications and industries. Activities include presentations at various industry events and development of non-commercial training materials. 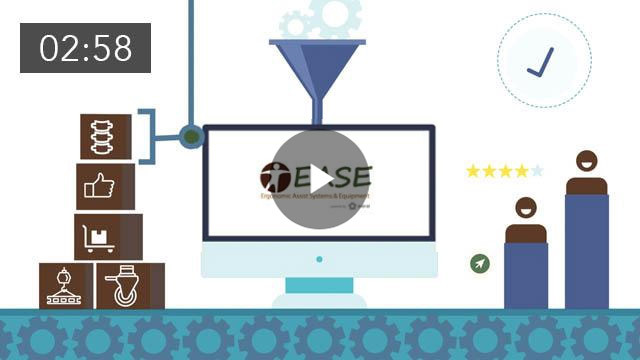 EASE also engages and collaborates with NIOSH and the academic community to enrich the group and enhance presentations and training materials. 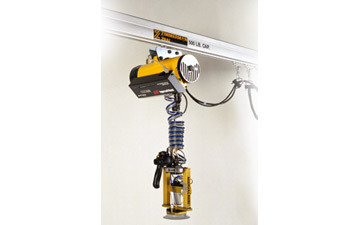 The mission of the Ergonomic Assist Systems and Equipment (“Council”) is to broadly promote the benefits of ergonomic assist systems and equipment together with the advantages derived from, and the considerations for, the use of this equipment in the workplace. It is also the mission of the Council to promote the general safety and health aspects of work environments for people with or in the vicinity of mechanical equipment. Be engaged in the industry conversation about ergonomics, particularly where it can suggest available solutions provided by member companies. Serve as a resource to the academic, governmental an industrial communities for solutions to ergonomic challenges that provide better human results and increased productivity. 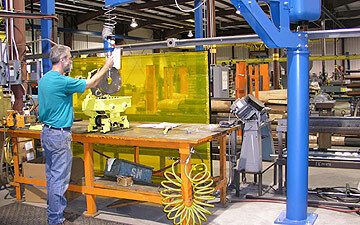 Ergonomic features in materials handling equipment and software keep workers safe while giving productivity a lift. If you have 3-5 minutes, check out NIOSH's latest WRT Sector News Bulletin. It has three short stories for the professional serving the needs of the businesses in the wholesale and retail trade sector. 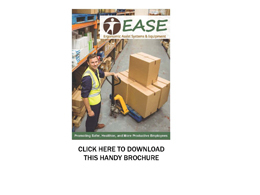 The Ergonomic Assist Systems and Equipment (EASE) Council of MHI has produced a new brochure to help promote safer, healthier and more ergonomically correct workplaces. The Material Handling Education Foundation, Inc. has awarded the $1,500 Ergonomic Assist Systems and Equipment Council Honor Scholarship to Eric Gessler at Kansas State University. Eric is a rising senior majoring in Industrial and Manufacturing Systems Engineering. When Eric first went to college he was in the College of Agriculture. Since then he transferred to the College of Engineering where he has enjoyed operations research which models real world problems as mathematical models. After graduation, Eric would like to join the workforce in a supply chain management role. 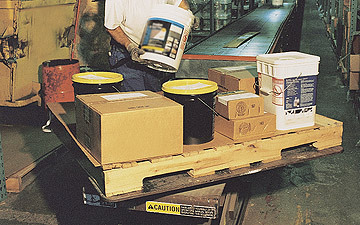 In today's fast paced industrial atmosphere where budgets are tight and time is a premium deciding how to solve manual material handling ergonomic problems is often done in haste. The attitude that a little improvement is better then no improvement, doing something now is better than waiting for the ideal equipment solution leads to less than desirable results. It may mitigate the ergonomic issue, but it does not fix the problem; it just lessons it impact. Comprehensive evaluation and research of all the issues will lead to complete, thorough solutions that really do "fix the problem" and are most often least expensive in the long run. Lots of pictures with examples of ergonomic problems half solved are supported by examples of things done right, whole solutions and positive results. 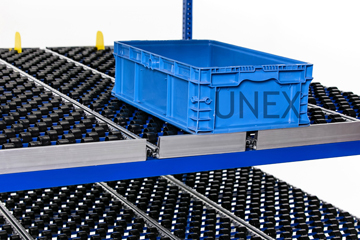 Understanding the demands placed on workers having to do manual material handling in today's industrial workplace means balancing the most productivity from every employee while understanding their physical limitation and keeping them injury free. The key to satisfy both the demand and the needs of the worker is providing them the right engineered intervention (tool). Appreciating there is often more than one solution, understanding what's available along with the pros & cons of each device permits management to make informed decisions and the best investments. This fast moving, highly illustrated session deals with ways to implement better manual handling devices throughout the process (materials, manufacturing, assembly and packaging) which can improve the ergonomics, reduce waste, minimize much of the stress on the employee, while increasing efficiency and productivity.